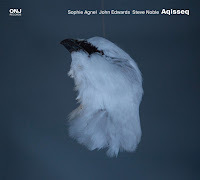 Solo piano albums, especially if they're abstract in nature, require real skills from the improvising artist to keep the listeners' ears glued to the music.It is not my favorite line-up, to be honest, yet if you listen to the following four releases, you can only admire the skills and the vision that lift this music far above the mediocre. Abstract music is rich, and can be emotionally compelling too. The demonstration is here. 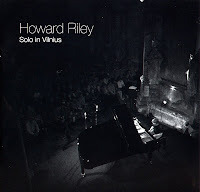 Howard Riley is relatively under-recorded as a solo artist, given that he has been playing avant-garde jazz since the early seventies, with names like Evan Parker, Lol Coxhill, Tony Oxley, Barry Guy, Trevor Watts, Elton Dean, Keith Tippett, to name but a few. 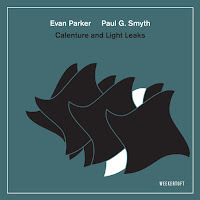 On this double CD, recorded in the Saint Catherine's Church in Vilnius, Lithuania he plays his own compositions/improvisations, with additionally some covers of the standards "Round Midnight", "Misterioso" and "Yesterdays". Riley's playing is very openended, not spectacular or prone to dramatic effects, but is focused on careful development and further expansion of initial ideas. 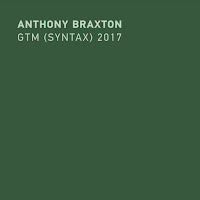 Even if open in spirit, his improvisations are quite controlled, never wild, never sweet or impressionistic, yet very lyrical and abstract. A rare combination. Those who have seen solo performances of Matthew Shipp will know that he likes to play standards once in a while, including "Frère Jacques", one of the most famous children's songs in the world. Though hard to believe, it took my wife a while to recognize the tune (actually I had to tell her what it was before she did recognize it), despite its obvious presence in Shipp's playing. The same goes with "Autumn Leaves", "Prelude To A Kiss", "What Is This Thing Called Love". He plays these pieces full of respect, but differently. He gets emotion and new musical elements, even little surprises out of these played-to-death-in-hotel-bars tunes, demonstrating that they are still full of life. The same holds true for his own compositions which start the album. He plays full of enthusiasm, full of ideas, full of lyricism, coming quite rapidly to the point, and all this with a playfulness that demonstrates both his pleasure in the music as in his instrument. 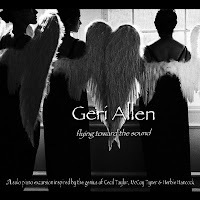 Another piano virtuoso is Geri Allen, who releases with "Flying Toward The Sound" one of her more abstract albums so far, dedicated to Cecil Taylor, McCoy Tyner and Herbie Hancock. As she comments on the liner notes : "These three pianists are foundational in terms of the modern piano. They informed my choices in abstract ways for this suite. It’s not like playing transcriptions; it’s more about refracting the admiration and love I have for them through my own muse, and letting the music reflect the ways they’ve influenced me through the years." But like Shipp, despite the abstract take at the music, she does not take herself so seriously. The joy and the jokes are still here, even if the music is very ambitious. Listen to her initial attack and sense of swing on "Dancing Mystic Poets@Twylight". And when the music is more expansive and meditative, it is rich with ideas and emotional depth. 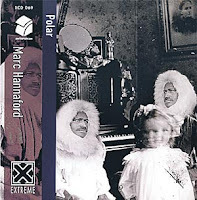 Probably least known of the pianists on this overview is Australian Marc Hannaford. I think he has received all the jazz awards possible down under, despite his young age, and he has already featured on this blog with the "Antripodean Collective". 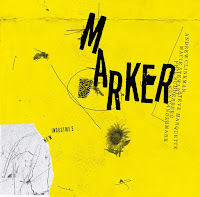 His first solo piano album shows us a guy with a vision : mixing rigidity with openness, sentiment with distance, the cerebral with emotion, playfulness with seriousness. He is not a jazz entertainer, he dives into the music itself and explores and expands from within. I don't think he cares about an audience per se, but that doesn't mean his music is not accessible: it is. But it is full of paradoxes and enigmas, avoiding the obvious, choosing for the austere and the beautiful, searching for the surprise in the lyricism, for the lightfootedness in the drama. 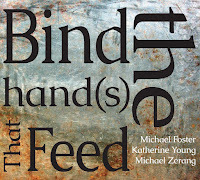 Listen to his heavy left hand and his joyful right hand in "Genius And Emptiness". Most pieces are quite short, with the exception of the one mentioned and of "The Book Of Sand", possibly a reference to the Jose Luis Borges story with the same title. Like Borges, the music is self-contained, full of self-references. 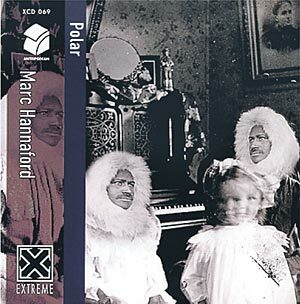 It is also beyond category : just improvised piano music. Yet very compelling. 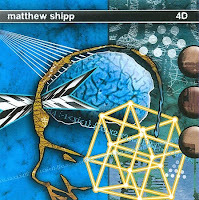 Listen and watch Matthew Shipp solo on Youtube : another great quality clip. Thanks for these reviews. I don't have the Riley record yet, but I need to check it out. This is nice. solo piano parts can really explore different types of musical genres.